An utterly convincing and moving look at the beauty and perils of consciousness. Winner of the 2015 Scotiabank Giller Prize, finalist for the 2015 Toronto Book Awards, and winner of the 2015 Rogers Writers' Trust Fiction Prize. When is a dog not a dog? Two Greek gods bet on what would happen to 15 unsuspecting canines if they were granted human intelligence. Alexis (Pastoral, 2014, etc.) devises an inventive romp through the nature of humanity in this beautiful, entertaining read. Apollo and Hermes debate what, if anything, sets humans apart from other mortal beings—a question that is more frequently part of today’s conversations among scientists about consciousness. Settling on intelligence, they enable a random group of mutts, poodles, retrievers, and other breeds to develop their own language, comprehend human language, and understand the passing of time. But the book’s central quest is to explore the possibility for happiness—and whether intelligence hinders or helps this. In their new state of awareness, the dogs escape from a veterinary clinic and form a pack in a city park. Armed with human capabilities, they jockey for power and quarrel over how these gifts should be used. The group’s leader, a mastiff named Atticus, fears change, thinking “a pack needed unity, and unity meant that all understood the world in the same way or, if not the world, the rules, at least.” The pack’s poet, who entrances some and disturbs others with his original musings in their new language, is marked for elimination by Atticus, who bans the language as unnatural for dogs. Readers spend most of their time with Majnoun, a poodle who develops a symbiotic relationship with a woman who takes him in, as he encounters other survivors from his pack. To him, “the line between natural (the things Majnoun couldn’t help doing) and cultural (the things he could) was neither clear nor fixed.” A clever exploration of our essence, communication, and how our societies are organized. André Alexis was born in Trinidad and grew up in Canada. In 2017 he was awarded a Windham-Campbell Prize in the fiction category. 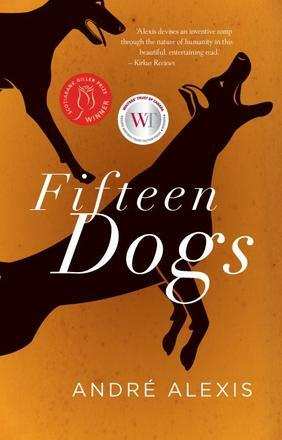 His novel Fifteen Dogs won the 2015 Scotiabank Giller Prize and the Rogers Writers' Trust Fiction Prize. 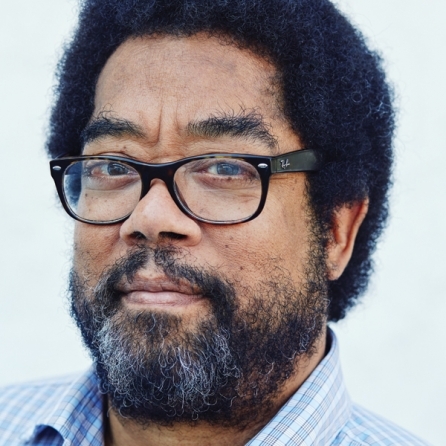 His debut novel, Childhood, won the Books in Canada First Novel Award, the Trillium Book Award, and was shortlisted for the Giller Prize and the Writers' Trust Fiction Prize. His other books include Pastoral (nominated for the Rogers Writers' Trust Fiction Prize), Asylum, Beauty and Sadness, Ingrid & the Wolf, and The Hidden Keys.